Tourism is Alaska's second biggest industry in terms of employment, and is a mainstay of many small and isolated communities. Sport fishing is one of the biggest draws to Alaska, but activities like glacier- and wildlife-viewing also bring many visitors to the state. Outdoor recreation is also important to Alaska residents. Angling is the biggest component, but kayaking, clam digging, whale watching, and recreational boating are also very important. Tour- and charter boat operators, fishing guides, lodges, tackle shops, outdoor equipment suppliers, and many other businesses cater to tourists and in-state recreational visitors. We produce marine recreation-related publications, conduct recreational resource inventories, provide regional supplements to the Alaska Boater's Handbook, and much more. Please contact Marine Recreation and Tourism Specialist Terry Johnson with your questions about recreating in Alaska's majestic marine environment. This online boater’s travel guide focuses on the eastern and central Gulf of Alaska, from west of Glacier Bay to Seward, where the vessel traffic is sparse, communities are few and far between, and exposure to the North Pacific is challenging. Adventurers, fishermen, sailors, and recreational boaters can use the guide to find their way in a region that is much less traveled than Southeast Alaska. It is a spectacular trip in good weather with opportunities to experience the scenery, the solitude, geology, human history, wildlife, and excellent angling. Includes photos and interactive maps of the area with waypoints identified, and provides basic safety information. Alaska has the highest rates of water fatalities and injuries in the U.S. among recreational and commercial boaters. 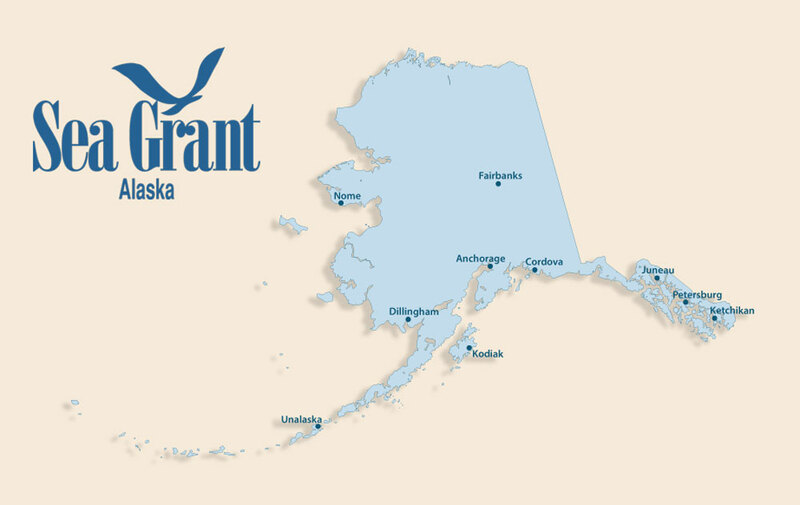 The Alaska Sea Grant Marine Advisory Program (MAP) led efforts to improve fishing vessel safety in the 1980s and helped establish the Alaska Marine Safety Education Association (AMSEA). MAP's role in marine safety includes involvement on the AMSEA board, marine safety instruction, and production of publications and videos. Students at Dimond High School in Anchorage learn how to don a survival suit and get into a life raft. Alaska Office of Boating Safety manages Kids Don't Float and Alaska Water Wise programs, among other services.